Service. Easily claimed. Not so easily achieved. 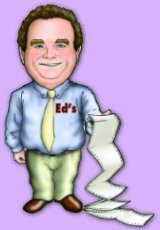 But with Edtra Business Forms, the claims are justified. With over 20 years experience, the Edtra philosophy has not changed; it still remains, "To Provide a Quality Product With Exceptional Service at a Fair Market Price." Achieving this takes more than words. It takes commitment. We offer complete printing services whether your needs are as simple as stationery or as complicated as computer generated specialty forms. To provide the services you expect and the quality you demand, we rely upon the latest State of the Art equipment. Computers track all phases of production, including order entry, pre-press, bindery, and shipping. Our price structure is as competitive as you will find. Our forms, which are of the highest quality, and our on time delivery will impress you. 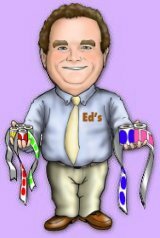 © 1999 - 2019 - Ed's Printing & Promotions, Inc.